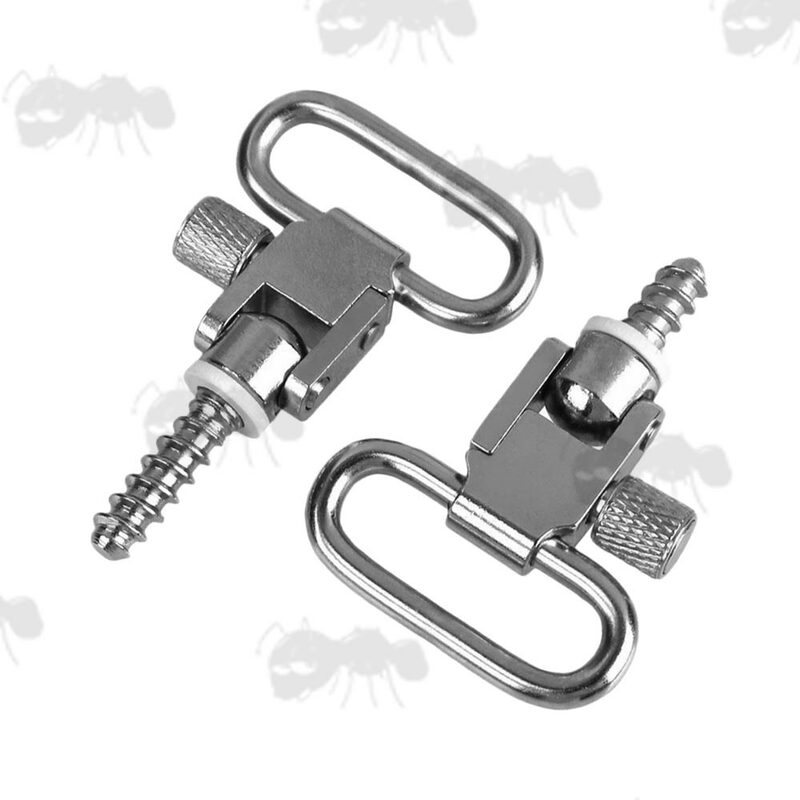 Quick-Deploy Gun Sling Swivel Sets. 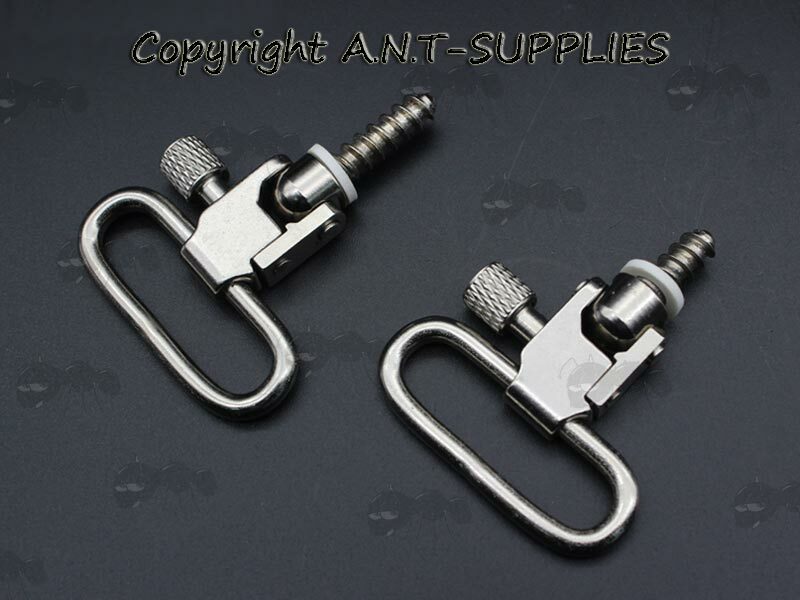 Choice of 1 inch / 25mm sling swivels with studs or studs only. 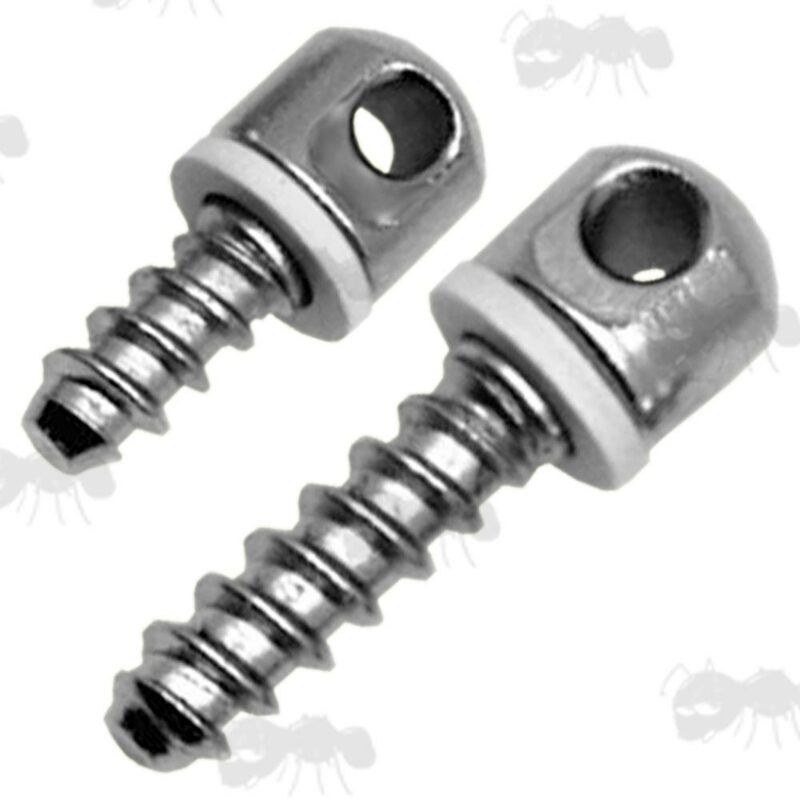 Colour ~ bright nickel plated. Steel design with steel plunger sleeve. QD Stud description; the short (forend) and long (buttstock) wood thread QD base studs and white spacer washer. The widest point on inside of the loop on the swivels is 27mm.